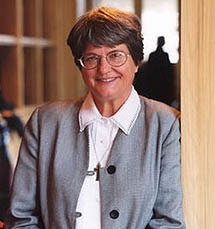 Sister Helen Prejean will return to Oregon Oct. 17-21 for a full week of activities in conjunction with the University of Oregon’s S avage Chair in International Relations & Peace. The well-known peacemaker and advocate for repeal of the death penalty will be teaching, speaking and meeting Oregonians interested in repeal. OADP will sponsor a talk by Sr. Helen at the Salem Public Library’s Loucks Auditorium on Oct. 20th at 6:45 PM. Admission is free, but seating is limited. You can reserve a seat by calling (503) 990-7060. Preceding her talk, there will be a special fundraising reception for OADP, beginning at 5 PM, at the new Orupa Restaurant at 500 Liberty SE, across the street from the Library. Tickets are $35 and limited to fifty people. It will be an opportunity to meet Sr. Helen and others working toward the repeal of the Oregon death penalty. Wine, soda and hors d’oeuvres will be served. Call (503) 990-7060 for tickets. In addition to being the author of the best-selling book, Dead Man Walking, which was made into a movie, Sr. Helen has written Death of Innocents and is currently working on a new manuscript, River of Fire: My Spiritual Journey. A person who puts her faith into action, she has won many awards and honors, including a nomination for the Nobel Peace Prize. Her articles and television appearances are too numerous to count. Always lively, always provocative, a self-described “southern storyteller,” Sister Helen never fails to engage her audience. You won’t regret making time to come meet and hear her. Three new members have recently joined the OADP Advisory Council. The Advisory Council has been most helpful in providing advice and direction to the OADP board of directors. Members of the Council have been particularly helpful in networking throughout the state and providing valuable contacts for our coalition-building. The Advisory Council membership has now grown to seventy-five. The size of the Advisory Council is not defined; therefore new nominations are always welcome. The new members include Rev. Marilyn Sewell, Minister Emerita of the First Unitarian Church of Portland. In her retirement, Rev. Sewell is writing, blogging and continuing to be a positive force for good in the Portland area. She is a regular contributor to the Huffington Post, where she recently published an opinion piece on the issue of inmate Gary Haugen’s request to be executed. Bobbin Singh, founding Executive Director of Oregon Justice Resource Center, at Lewis and Clark Law School, is another new member. The Resource Center includes a project seeking to abolish capital punishment and has recently become a “Supporting Organization” to OADP. In addition to his work at Lewis & Clark, Mr. Singh is on the Board of Directors of ACLU-Oregon. The third new member is retired attorney Karen Fink. Ms. Fink is a former public defense attorney and very involved in racial justice issues in Oregon. She will be working directly with OADP to involve other lawyers in our mission to repeal the death penalty, particularly working with people of color. We welcome warmly our newest members to the Advisory Council and look forward to them walking the journey to repeal in Oregon with us all. Oregon death row inmate Gary Haugen wishes to die at the hands of the State of Oregon. His mental and emotional competency to make that decision was affirmed in the courtroom of Marion County Circuit Judge Joseph Giumond on September 27th. On October 7th, the judge and lawyers for both the state and Mr. Haugen met and agreed on a tentative execution date of December 6th at 7:00 p.m., although a formal death warrant has yet to be signed. Oregon’s death-by-volunteer system of capital punishment, dormant for the past fourteen years, appears poised to resume action. 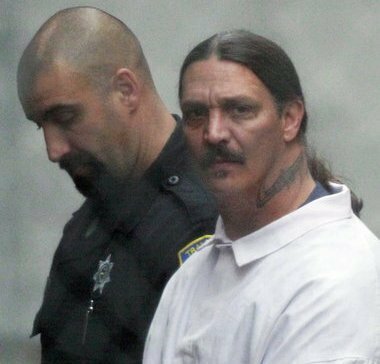 OADP will be filing a formal petition with Governor Kitzhaber in the near future asking that he commute Haugen’s sentence to life without possibility of parole or issue a reprieve of indefinite duration. If this petition is denied, Oregonians will have an opportunity to demonstrate their opposition to the death penalty in the hours leading up to the execution. Plans are being made to stage multiple vigils. Portland, Salem, Eugene, Bend and the Coast are possible locations. OADP will send alerts to all supporters and supporting organizations with details. 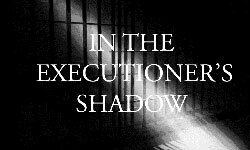 As unfortunate as the occasion is, the date of an execution is an opportunity to express our opposition to the death penalty in a peaceful and powerful manner. It will be important to mobilize as many people as possible to stand together in a display of solidarity and resolve. There will certainly be media coverage and the world will know that there are many Oregonians who refuse to accede quietly to this unjust and brutal practice. In addition to protesting the execution, the vigils will also be an opportunity to express solidarity with and compassion for the victims of Haugen’s crimes, Mary Archer and David Polin, and their survivors. The time is coming soon when Oregonians will have the opportunity to vote on repeal. It is imperative that we demonstrate that “the people” want to change the system and stop any further killing our in our names. This past month, OADP joined with Amnesty International, the NAACP and other groups to protest the execution of Troy Anthony Davis, a Georgia death row inmate who had a compelling claim that he was innocent of the murder for which he was convicted. Millions of ordinary citizens and international leaders called for commutation of Davis’s sentence, but to no avail. "Toni ght the State of Georgia has killed an innocent man. 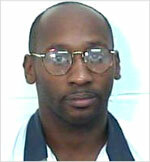 "In recent weeks, we fought hard for the commutation of Troy Davis' sentence. More than one million of your petitions were delivered. Protests, rallies and vigils were organized around the globe. Tonight, we fasted and prayed together as a community. "I have spent the past week with Troy's family. He wanted the world to know that he understood that this struggle goes beyond just one man. Troy was prepared to die tonight. As he said again and again, the state of Georgia only held the power to take his physical body. They could not take his spirit, because he gave his life to God. "Let's remember and heed Troy's words: We must not let them kill our spirit, either. "Troy's execution, the exceptional unfairness of it, will only hasten the end of the death penalty in the United States. The world will remember the name of Troy Anthony Davis. In death he will live on as a symbol of a broken justice system that kills an innocent man while a murderer walks free. "The world will remember Troy's name, as the death penalty supporters who expressed doubt in this case begin to doubt an entire system that can execute a man amidst so many unanswered questions. "The world will remember Troy's name, as death penalty opponents who remained silent in the past realize that their silence is no longer an option. achieved until we end this brutal practice of capital punishment. "'This movement,' Troy said, 'started before I was born.' After tonight, our movement will grow stronger until we succeed in destroying the death penalty in the United States once and for all. "I know you will join me. Together we will secure his legacy, and the world will remember the name Troy Anthony Davis." “Conservatives have every reason to believe the death penalty system is no different from any politicized, costly, inefficient, bureaucratic, government-run operation, which we conservatives know are rife with injustice. But here the end result is the end of someone’s life.” Richard Viguerie, a founder of the modern conservative movement. “Capital punishment, like the rest of the criminal justice system, is a government program, so skepticism is in order.” George Will, NY Times columnist. “My own view on capital punishment is that it is morally justified, but that the government is often so inept and corrupt that innocent people might die as a result. 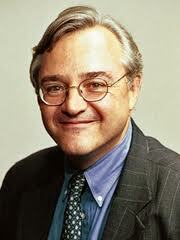 Thus, I personally oppose capital punishment.” Edward H. Crane, founder and president of the CATO Institute. The wise and fair administration of justice is the concern of each and every one of us, and OADP welcomes wisdom and fairness from any slice of the political spectrum. OADP now has a Facebook page. This marks an important step in the development of our online presence. Why? Because Facebook now has 800 million users, including many thousands in Oregon. A recent study revealed that about 22% of all time spent on the internet worldwide is now spent on Facebook. You'll find articles, notices of events and photos there, and can post your own comments, ideas, photos, invitations ... anything that will contribute to ending the death penalty in Oregon. Please join the conversation! And please "Like" our page! When you do that, you become a "fan," and will receive all postings to the page on your newsfeed. Your Facebook friends will know that you support repeal of the death penalty and may visit to learn more. And when you "like" a photo or a post, your friends will get instant access to it as well. It's all part of spreading our message, and you can play an important part. If you were a member of the OADP Facebook “group” from years past, that resource is going inactive, so please click the link above to check out the new page—where all the action will be from now on. to sign up. With so many users worldwide, you can be sure you already have friends using this amazing tool.